In this episode Sian and Clare are saying goodbye! 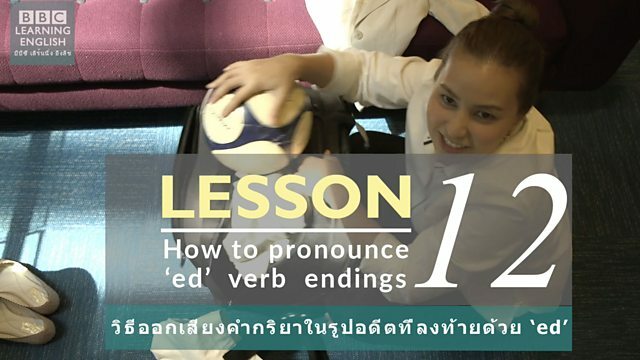 Join them to look back on Clare's holiday and find out how to pronounce verbs ending in 'ed'. If the verb ends in a /d/ or /t/ we pronounce 'ed' as /Id/ - so the 'ed' is an extra syllables. Try this quiz to practise your grammar! /d/ /t/ or /id/ ? How is the 'ed' verb ending pronounced? I cleaned my whole house yesterday! She kicked the ball really hard! Join us for our next episode of English on the street to learn more about English pronunciation, grammar and vocabulary.